The photo id for this photograph is 225, in the People album. 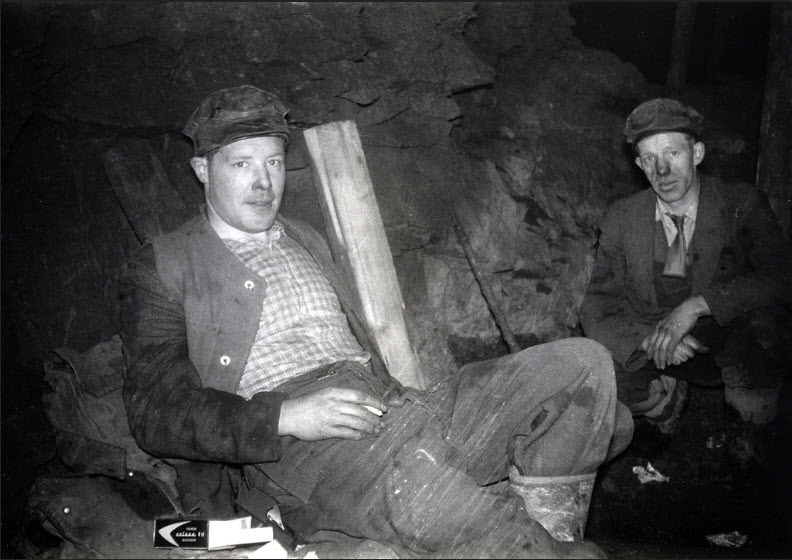 Two miners at Furness Clough Colliery. Taken in 1963 before it closed. Cyril Hinde is on the left, and Arthur Williamson on the right.